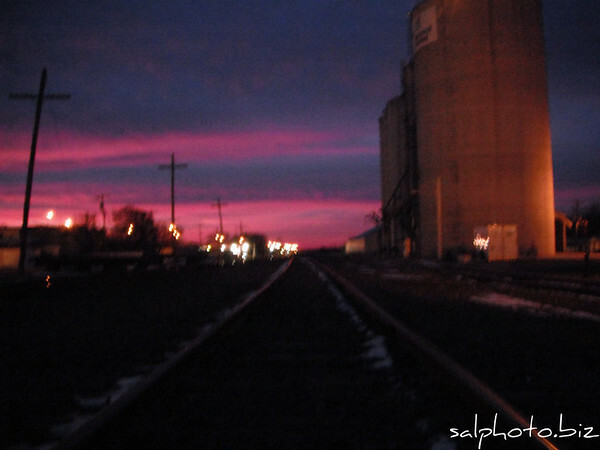 "The Adventures of a Railfan," by Morris resident Mike Vandenberg runs through Dec. 18, 2010. "Trains are the focus of a new exhibit now on display at the Prairie Renaissance Cultural Alliance in Morris. 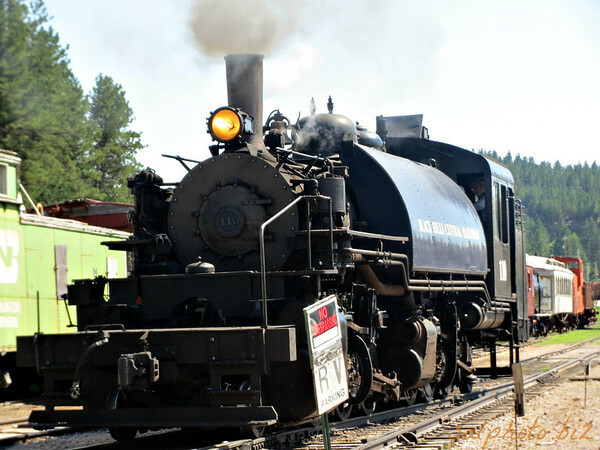 "The Adventures of a Railfan," by Morris resident Mike Vandenberg runs through Dec. 18, 2010. An open house reception will be held from 7 until 8:30 p.m. on Thursday, Dec. 9, 2010. The exhibit and the reception are free and open to all. Trains have been a part of Vandenberg’s life since he was a small child. One of his favorite memories is visiting his grandmother in Michigan and watching freight and Amtrak trains on a swing bridge. He had his own model train set, and his parents brought him to places like Bandana Square in St. Paul, where they visited the Twin Cities Model Railroad Association. When he started college in 1997, he found his new home of Morris the perfect place to watch trains. When his hobby expanded to photography, Vandenberg discovered a whole new group of friends, fellow railfan photographers. While many are long distance friendships online, he’s also found railfans nearby, and they share entire days together planning for shots and investigating routes and schedules. “Chasing trains and taking pictures takes a lot of patience,” shares Vandenberg. “We do a lot of ‘scoping,’ figuring out spots for shooting." Vandenberg’s exhibit includes photographs of trains nearby and in various places around the country. Vandenberg’s photography has been published in Amtrak’s American 2010–11 travel planner. His photographs have been used to illustrate projects as varied as a Minnesota state report and a children’s book, My Train Book, a Smithsonian project published by Harper Collins. Vandenberg, a native of Mound, serves as senior admissions counselor in the Office of Admissions at the University of Minnesota, Morris, from which he graduated in 2003. To view the exhibit, visit the PRCA, located at 632 Atlantic Avenue in Morris, Tuesday Wednesday, and Friday from 11 a.m. until 5:30 p.m.; Thursday from 11 a.m. until 7 p.m. through the holiday season; Saturday from 10 a.m. until 2 p.m.; or by appointment." "These nine photos were featured in an exhibit at the Prairie Renaissance Cultural Alliance in downtown Morris during the fall of 2010." "Cars I took pictures of that I thought had some unique art work while waiting for this long 50-75+ (lost count) cars train to pass during my work AM route"
*see GoodnewsEverybody.com Music: Kaoroke, Sing, Singing, Sung, etc..
"ALEXANDRIA, Minn. (KSAX) - The Canadian Pacific Railway holiday train stopped in Alexandria on Wednesday. The train travels across the country to raise money and food donations for local food shelves. The holiday train program started in 1999 and this year it will make 150 stops through eight states and six Canadian providences. At each stop, a live concert is performed and a donation is given for the local food shelf. This year, they donated $1,000 to the Alexandria Outreach Food Shelf. “This is a great way for us to reach out to our neighbors in need and help them during the holiday season," Mike LoVecchio of Canadian Pacific Railways said. Outreach Food Shelf Board of Director’s President, Mary Sinning said they’re grateful for the donations from Canadian Pacific and community members who came out to support the cause. "This community just gives and gives and gives," Sinning said, "The holiday seasons just seem to bring out the best in all of us." 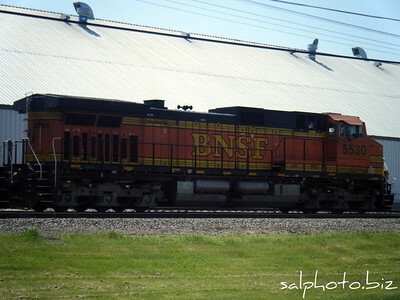 "Watching trains at the Pigs Eye Railyard from Mounds Park Scenic hill in St. Paul, Minnesota with my nephew on July 9th 2010." "Thomas the train video I made with my nephew for his birthday"
""After a couple friends from my church got held up in Havre (Montana)due to our car being broke down (see story), we took a Amtrak train to get home. This was my first time on a long passenger train ride. It was a beautiful ride.."
"WE ARE ALL RIDING A BLACK TRAIN TO THE GRAVE ! WE BETTER HAVE A TICKET TO GET ON AND OFF . DO YOU HAVE YOUR TICKET ????" "Life is like a mountain railroad and this train is bound for glory! I hope you're on board with me." The Choo Choo Bob Show - Official Trailer! "Promotional reel for the greatest train show in the history of the universe, The Choo Choo Bob Show! Join Choo Choo Bob and all his friends as they find out everything there is to know about trains. "People being loaded up to go home in Japan"
"This Snow Plow was built in 1925 by Canadian Pacific Railway. Ottawa Valley Railway bought the plow in 1996. Every fall the plow is tested and serviced for the winter ahead." "A glimpse of what the new trains destined for rail lines from London to Bristol, Exeter, Cardiff, Edinburgh, Newcastle and York could look like. The government announced on 12/02/09 that it had ordered the new trains, part of a £7.5bn package."